Roots Canada has started their Black Friday Sale! Now until Monday you can save 30% off entire site! There are also new daily deals throughout the week. Today only you can save 40% off pajamas for women, men and kids! Roots Canada offers FREE shipping when you spend $50 or more. 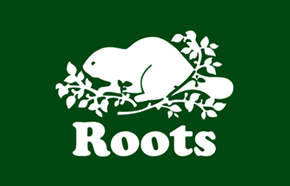 Click here to start shopping at Roots Canada. Roots Canada’s Black Friday Sale is on now! Shop online and you will save 30% off entire site! This sale is valid until November 28 at 10AM EST. Also, Roots is a holding a Six Nice Days sale with Six Nice Offers – enjoy a great new offer everyday! Today’s offer is: Save 40% off Kids, Toddler & Baby. This offer is valid today only, November 26, 2017. Click here to shop at Roots Canada’s Black Friday Sale. Also, Roots is a holding a Six Nice Days sale with Six Nice Offers – enjoy a great new offer everyday! Today’s offer is: Save 40% off allcSweaters & Footwear. This offer is valid today only, November 25, 2017.